Karzai: Cash payments are 'transparent' Jump to media player Afghanistan's president, Hamid Karzai, has admitted that his chief of staff received money from Iran in bundles of cash, but he said it was a form of aid from a friendly country, and completely transparent. 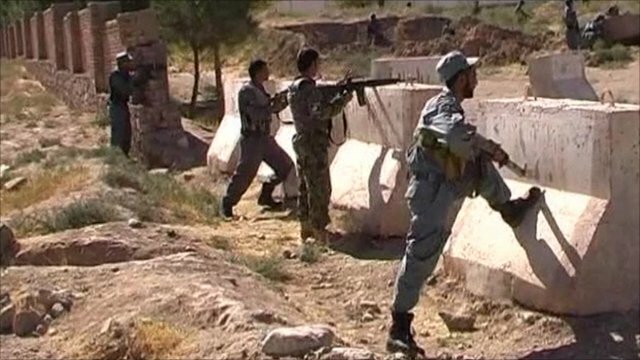 UN base in Afghanistan attacked Jump to media player Afghan security forces have killed four militants who attacked a UN compound in the western city of Herat, officials say. 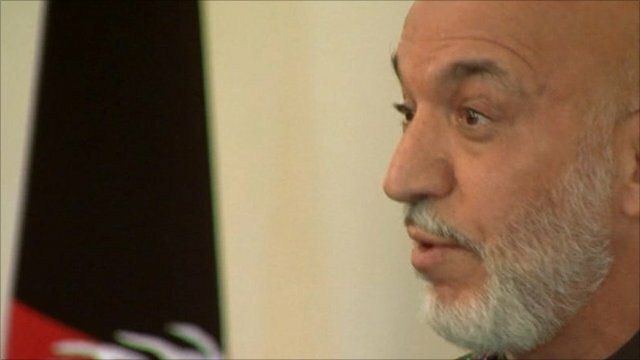 Afghanistan's president, Hamid Karzai, has admitted that his chief of staff, Umar Daudzai, received money from Iran in bundles of cash, but he said it was a form of aid from a friendly country, and completely transparent. Mr Karzai said the cash, some of which was allegedly handed over in plastic bags while he was visiting Iran, was used to maintain the presidential palace and run his office.